Speaking to a Ma'an reporter, Muhammad's father Hussein Abu Khdeir said the family notified police about the incident immediately after it happened but are still waiting for a response. "We notified the police of the incident when it happened, but until now they haven't moved a muscle or arrested the kidnappers, despite their clear appearance in the surveillance cameras," he said. "If things were different and an Arab kidnapped an Israeli, it would have been uncovered in moments." "Police want to cover the issue up, to protect the settlers, but the cameras were clear," he added. The family were not allowed to see Muhammad's body before it was transferred to conduct an autopsy, his father said. Muhammad's mother told Ma'an that he left the family home at 3:30 a.m. before dawn prayers. "Fifteen minutes later my nephew, Muhammad's friend, came and told me about the kidnapping and asked about him. I told him he was at the mosque, but he went to the mosque and could not find him." "I don't want anything. I just want my son to come home. I want him alive. Muhammad left as usual with his friends for al-Fajr prayers but he hasn't returned. I am waiting for him." "Today my son was kidnapped and yesterday they tried to kidnap a kid from the Zalloum family. Who is next?" she added. The statement demanded in a statement the democratic governments and UN bodies to take their legal and moral responsibilities to stop the Israeli crimes against the Palestinians, and to force ‘Israel’ to conform with the international law. The PLO confirmed that the Israeli incitement coming from high-profile officials opened up the way to the escalating acts of terror by fanatic settlers against the Palestinian people. It pointed to the settlers’ burning of mosques and churches, and drawing of racist graffitti on Palestinian homes’ that call for revenge and price-paying. The United States on Wednesday condemned the killing of a Palestinian youth in an apparent revenge attack for the killing of three Israeli teenagers, warning acts of vengeance would worsen an explosive situation. "It is sickening to think of an innocent 17-year-old boy snatched off the streets and his life stolen from him and his family," the statement added. "Those who undertake acts of vengeance only destabilize an already explosive and emotional situation. We look to both the Government of Israel and the Palestinian Authority to take all necessary steps to prevent acts of violence and bring their perpetrators to justice." 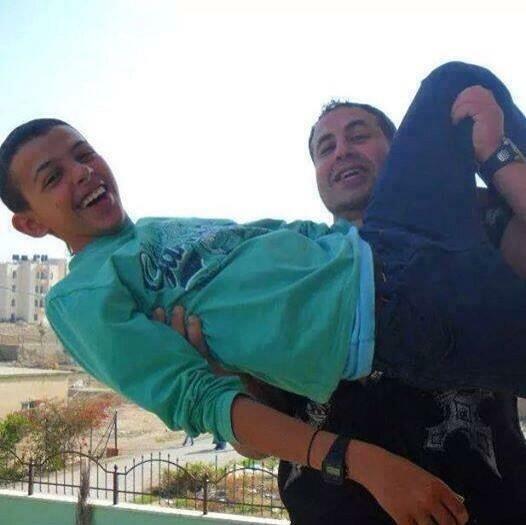 Muhammad Hussein Abu Khdeir was kidnapped and killed early Wednesday from the Shufat neighborhood. The United Nation's Special Envoy to the Middle East, Robert Serry, lashed out at the killing of Palestinian boy Mohammed Abu Khudair in East Jerusalem neighborhood of Shuafat. Serry Wednesday said in a statement that "I strongly condemn the murder of the Palestinian child that took place in Jerusalem," urging to bring the perpetrators to justice. He added: "I am reiterating the UN Secretary-General’s message that any deliberate killing of civilians is no justified. All parties should take the necessary measures to avoid any escalation, and we are all sympathetic with the bereaved family." The French minister of foreign affairs on Wednesday strongly condemned the killing of a Palestinian teenager overnight. "I express my horror regarding the murder of a young Palestinian who was abducted in East-Jerusalem. I convey my sincere condolences to his family," Laurent Fabius said in a statement. He added: "The perpetrators of such a crime must be identified and brought to justice." The family of Muhammad Hussein Abu Khdeir, 16, says he was kidnapped and killed early Wednesday in a suspected act of revenge for the killing of three Israeli youths. Settlers routinely attack Palestinians and their property in the occupied West Bank and East Jerusalem with impunity. Israeli Prime Minister Benjamin Netanyahu on Wednesday condemned the "despicable murder" of a Palestinian teenager hours after he was kidnapped from a neighborhood in occupied East Jerusalem. 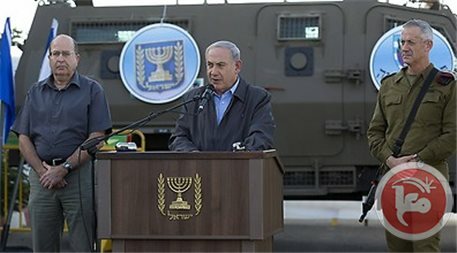 "Prime Minister Netanyahu asked the investigating authorities to work as quickly as possible to find out who was behind the despicable murder of the youth, and what is the background of the incident," a statement from his office said. The prime minister urged all sides not to take the law into their own hands, it said, as fears grew the killing was an act of revenge for the murder by Palestinians of three Israeli teenagers. President Mahmoud Abbas on Wednesday demanded that Israeli Prime Minister Benjamin Netanyahu condemn the killing of a Palestinian teenager earlier the same day, Wafa reported. Abbas said Netanyahu must denounce the murder of 16-year-old Muhammad Hussein Abu Khdeir, who police say was kidnapped from East Jerusalem and found dead in a nearby forest hours later, the official Palestinian Authority news site said. Netanyahu should condemn the killing just as he condemned the recent kidnapping and killing of three Israeli teens, Abbas was quoted as saying. He demanded that Israel "take real measures" to stop all revenge attacks. 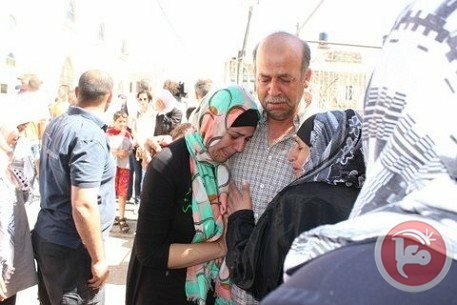 Presidential spokesman Nabil Abu Rdeineh said Israel was responsible for the death of Abu Khdeir, and he demanded that the perpetrators be held accountable. Early Wednesday, Abu Khdeir was kidnapped from the Shufat neighborhood and later found dead in a forest in a possible act of revenge for three Israeli teens who were kidnapped and killed in the West Bank. The teens' bodies were found Monday, sparking calls for revenge. Israeli police have not commented on whether or not the two incidents are connected. 200 angry young Palestinians threw stones at police, who responded with sound bombs and rubber bullets, an AFP correspondent and police said. 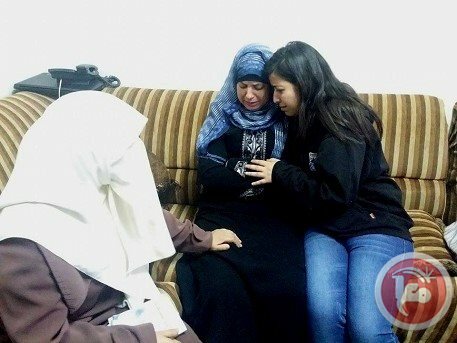 Police investigate possibility Palestinian was kidnapped by Jews seeking revenge for three Israeli teens; possibility murder was part of domestic issue also being investigated. The police found the body of an Arab teenager in the Jerusalem area on Wednesday and were investigating a possible connection to the reported kidnapping of a Palestinian youth in East Jerusalem earlier in the day, a police spokesman said. The incident occurred only a day after Israel buried three teenagers who had been kidnapped on June 12 and whose bodies were found dead in the West Bank on Monday. As the boys were being laid to rest, a Jerusalem protest deteriorated into an anti-Arab mob, leading the police to arrest a number of Jews who attempted to attack Arabs. The possibility the Palestinian teen was kidnapped and killed as part of revenge attack was being investigated, as was the possibility his death was the result of a domestic issue or "honor killing". 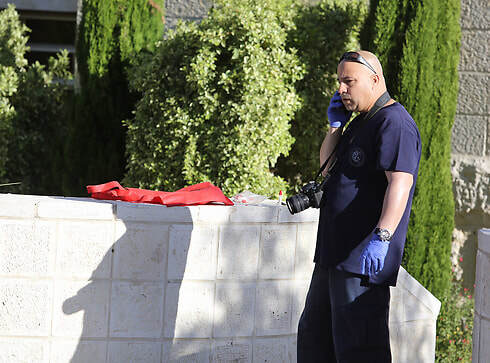 Ynet has learned that the body was charred and showed signs of violence. Palestinian residents told a Reuters photographer that they saw a teenager forced into a vehicle outside a supermarket in the Shuafat section of East Jerusalem on Wednesday. Ynet learned the incident took place after the teen left a mosque. At the end of a security briefing, Police Commissioner Yohanan Danino said "the police will not allow anyone to take the law into their own hands." The commissioner called on the public to show restraint. Micky Rosenfeld, a spokesman for the police, said police had been notified of a youth "pulled into a vehicle and possibly kidnapped" and roadblocks were set up in search of suspects. The Shin Bet are also involved in the incident. Later "police discovered a body in the Jerusalem forest and were looking to see if there was a connection between the missing youth and the body that was found," Rosenfeld said. A security source speaking on condition of anonymity said Israel suspected the youth had been kidnapped and killed, possibly in retribution for the killings of the Israeli teens. Late Tuesday, reports were received of another possible attempted retribution kidnapping, also in the East Jerusalem area of Shuafat. According to the report a group of people attempted to force a 10-year-old boy who was walking down the neighborhood's main street with his mother and sisters into their car. However, after a short struggle the boy managed to escape. The police said the incident was not reported and thus could not confirm or deny the report. Dozens of Israelis had protested in Jerusalem on Tuesday night against the kidnap and killing of the Israeli teens, and there were reports some had shouted "death to the Arabs" at one of these demonstrations. Jerusalem District Police deployed units to the field to prevent the assault of Arab residents and police confirmed that there was an explosive confrontation between inflamed protesters seeking revenge and the Arab population. Police forces managed to rescue eight Arabs from the mob and arrested 47 on charges of public disorder, attempted assault of Arab minors, assaulting police officers, and property damage. 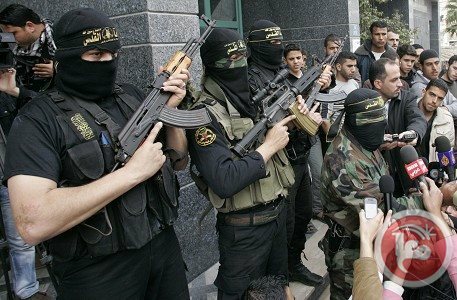 Israel has blamed Hamas Islamists for the kidnappings. The group had praised the abductions but not claimed responsibility. Meanwhile, the Palestinians have reported a possible 'price-tag' graffiti attack in Nablus, in what could be another retribution for the death of the teens. According to the report, the words "Price tag blood vengeance" were scrawled on some shacks in the Palestinian village of Akraba near Nablus early and a livestock feeding pen was set ablaze in what could be yet another possible retribution for the murder of the three Israeli teens.